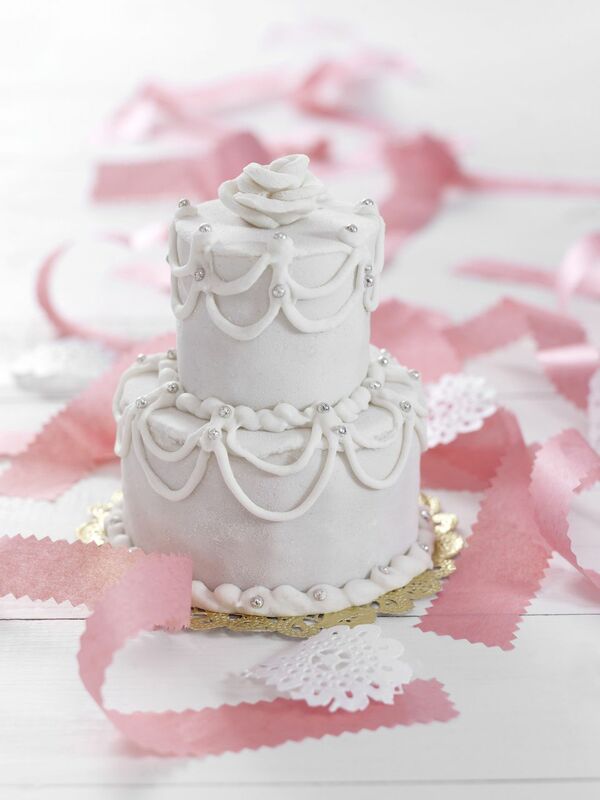 For a bride on a budget, paying $8 per slice for a wedding cake may seem completely outrageous. But what are the alternatives, particularly when you don't have any baking experts in your family? Turns out, making a wedding cake is not as difficult as one might think. This is an illustrated step-by-step guide on how to make a wedding cake. Allow yourself some extra time and manage expectations: you (or your bridesmaids) are likely not going to be able to craft a fondant-covered confection worthy of a magazine spread. Simple, rustic decorations are more achievable. You should use a recipe specifically designed to be a wedding cake as it will ensure that it is sturdy enough and that it makes the right amount of batter and icing. For this article, we used this fondant-covered cake recipe. It makes three tiers of 12", 9" and 6", as well as a massive amount of icing. Best of all, it is truly delicious. All ingredients for baking and icing the wedding cake. The recipe above calls for 5 pints of raspberries but we recommend that, due to spoilage, you should purchase 6 or 7. 12", 9", and 6" cake pans, each 3" tall. (available at craft stores and baking supply stores). Cardboard cake boards (available at baking and craft stores) in 12", 9" and 6"
Lastly, you will need to clear a large space in the refrigerator, perhaps taking out a shelf. How Can You Make Cake Flour If You Run Out?